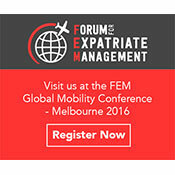 Kent is proud to announce its nomination for two separate awards for the APAC Expatriate Management and Mobility Awards 2016. Held this September in Singapore, the awards will be presented at the EMMA’s Gala Dinner, a highlight in the global mobility events calendar. Relocation Management Company of the Year. The Destination Services Provider of the Year Award recognises the pinnacle of destination services management. The award is particularly prestigious due to the large pool of destination services providers who qualify for selection. Although the shortlist is exclusive, destination service providers who specialise in anything from home search and school search, to temporary accommodation and cultural awareness may be selected. The Relocation Management Company of the Year Award is arguably the showpiece award of the global mobility events calendar. Kent is nominated in the ‘Under 10,000 Moves a Year’ category. This award acknowledges the company who best demonstrates the values most coveted in the industry. As a nominee, we’re proud to be recognised for the outstanding relocation support we offer to our clientele and their respective relocation assignees. 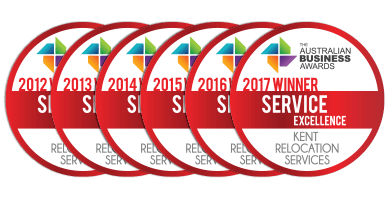 Not only are we proud to be nominated for each of these coveted awards, we also look forward to the opportunity to network with top relocation management professionals from all over the world. We know we are up against excellent competition, but we’d like to take a moment to highlight the very attributes, values, and achievements upon which our nomination is based. As Australia’s largest tier one relocation and removal company, we’ve delivered millions of successful relocations throughout the world. And whilst it’s true that we have a special proclivity and truly local knowledge of the Australian market, we’ve also been an industry leader for nearly seven decades. When you’re in the industry for such a stretch, it means you have literally generations of experience to call upon—experience we utilise to deliver the absolute highest level of relocation service possible. But if our nomination is grounded on anything, it has to be the fact that our number one priority has always been to ensure the success of our clients. Along with industry-leading customer service, we provide Australia’s only 5-star Quality Service Guarantee.